Dirty fuel can come in many forms and can cause a wide range of problems to your boat. From water in the fuel and the dreaded "diesel bug" to split tanks, We have seen it all before and are fully equipped to deal with all manor of issues that you may have. Grotamar 82 is our recommended diesel biocide which we use to combat diesel bug. It should be used as a preventative by adding Grotamar to the fuel in a small solution when refuelling each time to stop any growth. It can be used to help decontaminate a tank with a large amount of growth which can then be filtered out. 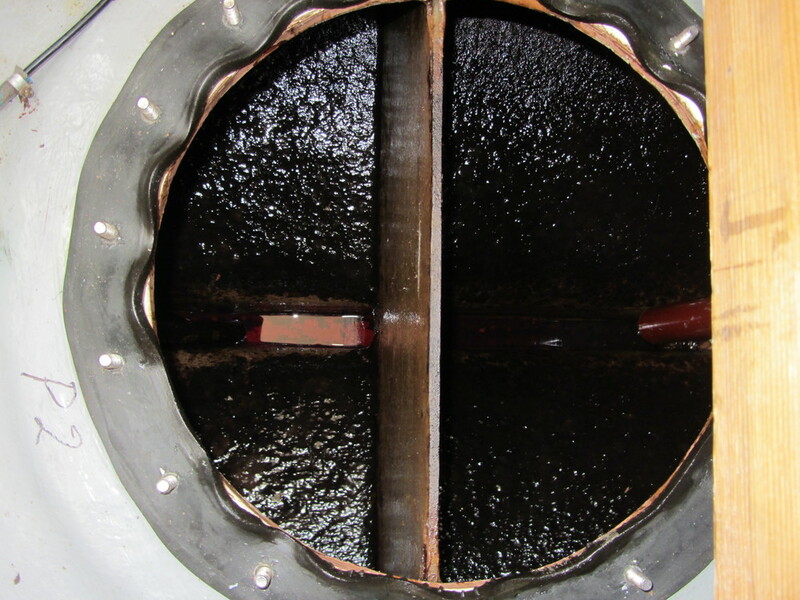 Over a vessel's life time a fuel tank experiences a wide range of corrosive environments and stresses. Water and fuel contamination increase the corrosive environment within the tank and occasionally the worst happens and a tank can split filling your boat with diesel. Our experienced engineers and technicians can help you out. If you have any concerns or discover any issues with your fuel system please contact us at M&G and we'd be happy to help and give you some advice on the best course of action. Diesel bug is the common term for a bacterial and fungal growth that lives in diesel. Typicaly starting from the ingress of water the growth can soon move to fill your tank and cause problems blocking your engine. One of the most effective ways to deal with this is the addition of a biocide agent to the fuel. Typically the only way to remove contamination from your fuel is to run the boat and hope that your filters can collect all the debris. This may avoid contamination reaching your fuel system This however should not be relied upon. Here at M&G we have the solution in our mobile fuel filtration unit. This pumps the fuel out of your tanks and filters it before cycling it back through your tank. This allows time to inspect the condition of the inside of your tank and to make sure that your tank and fuel are completely clean. We recommend that replacement tanks are fabricated from 316 L grade stainless steel giving you excellent corrosion resistance to help prevent this happening in the future. Our welders are stainless steel specialists giving you the highest quality fabrication and quality. After fabrication all tanks are pressure tested to check for any leaks or potential weak spots before being fitted back in to the boat.